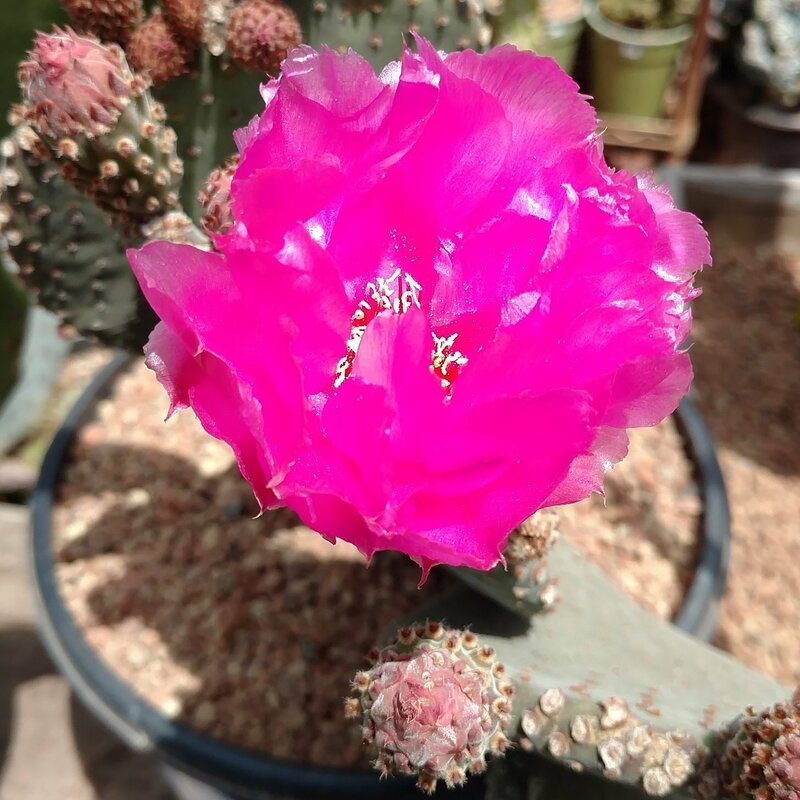 Posted May 24, 2017 1:09 pm & filed under Cactus, California Native Plants. Classic blue cactus from the Mojave and Sonoran Deserts. Very low water, can handle high heat and winter cold if dry. Pink flowers. Loads of small glochids, very few spines. Will get 2 to 3 feet tall and spread 6 to 8 feet wide over time. Pads were used medicinally.